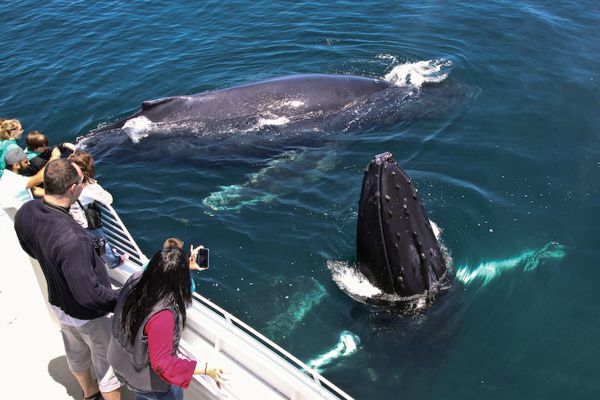 Voyage out onto the sparkling blue coastal waters of Santa Barbara aboard the Condor Express, a high-speed catamaran, to catch sight of migrating whales. You'll encounter a breathtaking spectacle unlike any other as these graceful giants dive, spy hop, and breach. In addition to the whales, you can watch for dolphins riding the bow wave and sea lions poking their heads up to say hello. The Santa Barbara Channel is home to a diverse array of marine life including dolphins, sea lions, seals, sea otters, birds, and more. For bookings after May 12, 2019,click here.